Over the years we have worked hard to achieve a number of awards and accreditations that acknowledge our service, internal processes and our commitment to our employees. In 2018 we were recognised as one of the 100 Best Workplaces™ in the UK by Great Place to Work® UK for the third time, achieving national coverage in The Guardian and Sunday Telegraph newspapers. This is a third time we have been recognised by Great Place to Work® having previously been recognised in 2015 and 2017. Great Place to Work® UK is part of a global research, consulting and training consultancy that helps organisations identify, create and sustain great workplaces through the development of high-trust workplace cultures. The methodology behind the ranking is one of the most rigorous available and uniquely comprises both an employee survey and an audit into each organisation’s management and HR practices. "Sellick Partnership’s performance this year compared to 2017 has been particularly impressive, demonstrating a real commitment by the leadership team to continuously improve the work environment. Employees appreciate the fact that management genuinely strive to support them by offering practical benefits such as training and flexible working, and also opportunities for team building, socialising and CSR activities, which they believe sets Sellick Partnership apart from many other recruitment companies." In February 2018, we were thrilled to be awarded with the Investors in People Gold Accreditation, improving from our previous Silver accreditation. To be awarded the IIP standard we went through a series of assessments which looked into various areas of our business such as our people development, training, culture and our business as a whole. "We are delighted that Sellick Partnership has achieved Gold Investors in People status. Without a doubt, the culture within the business is centred around their vision of ‘Shining a light on the future of our people’. The business has built a workforce who are engaged, empowered and focused on playing their part towards the common ambition which has produced high quality service in a period of growth. There is a very strong culture of learning and development and it is clear that they are committed to ensuring their client and candidate relationships are at the centre of all decisions. It is also clear that the objectives of each and every employee is aligned with their ambition to grow and cater to the needs of their clients and candidates. The leadership style is focused on empowering, coaching, enabling, and role modelling and to date this is working to deliver a consistent approach to how people are managed within the business." In 2018 we were listed as one of just three UK based recruitment firms on the third annual Companies to Inspire Europe report. In this pioneering report, London Stock Exchange Group (LSEG) is proud to identify the most dynamic and fastest-growing, firms throughout Europe. In 2017 we were ranked amongst the Financial Times fastest growing companies in Europe. 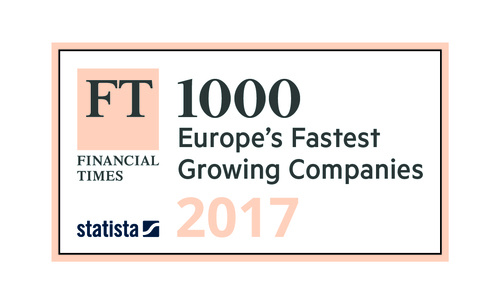 The FT 1000 report, conducted by The Financial Times and Statista considered over 50,000 European organisations and identified 1,000 companies with the strongest growth between 2012 and 2015. The aim of the report is to celebrate innovative and fast-growing companies that are the ‘driving force of the European economy’ and that are ‘generating jobs and sustaining Europe’s competitiveness’. The list features companies from 24 European countries with the UK and Germany accounting for 47 percent of businesses featured. The ranking also names London as Europe’s capital for fast-growing companies despite the UK’s impending departure from the EU. "I am thrilled that we have placed on the first ever FT 1000 list alongside so many great organisations from across Europe. We have had a strong period of growth and to be amongst only a handful of UK recruitment firms featured is a real honour. I believe the listing underlines the strength of the work that we are doing to provide exceptional recruitment solutions to our clients and candidates across the UK." In 2018 we were also re-accredited with ISO 9001:2015, a quality management accreditation that is externally audited to ensure compliance with set standards. ISO 9001:2015 looks at core business areas that need to be documented in order to ensure a robust quality management system. This includes: context of the organisation, leadership, planning, support, operations, performance evaluation and improvement. 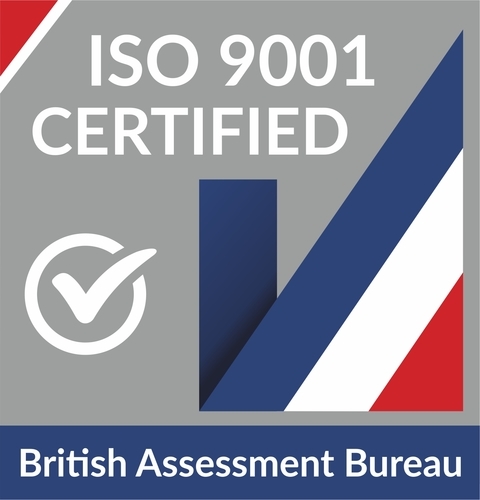 We have held the ISO 9001:2015 accreditation since May 2014 (where we met the 2008 accreditation standard, and progressed to the 2015 version in 2017). This most recent audit was an annual surveillance audit to ensure we are still meeting the requirements of the ISO 9001:2015 standard. In addition to the above awards we are proud to be a member of APSCo (the Association of Professional Staffing Companies) which works to promote the interests of professional recruiters across the sector with the overall aim of raising standards and recognising achievements of APSCo members. Our membership provides a platform to share knowledge with other recruitment industry experts and keep in touch with changes. This enables us to remain at the forefront of developments within the recruitment sector and provide a more enhanced and distinguished recruitment service to our clients and candidates. In addition to our membership we have also been named an APSCo Member Committed to Diversity, which means we have successfully demonstrated our commitment to encouraging diversity in recruitment. APSCo’s Diversity Commitment is a public promise by its members to take measurable steps to improve diversity within their organisation and within the recruitment industry. We are proud to have been included in the London Stock Exchange's ‘1000 Companies to Inspire Britain’ twice, in 2014 and 2016. This report is an annual celebration of some of the fastest-growing and most dynamic small and medium-sized enterprises (SMEs) in the UK and to be included in the report is a fantastic achievement. As well as identifying 1,000 companies, the annual report examined in detail the opportunities and challenges facing SMEs and looks at the sectors and trends that will shape the future of the UK economy. Given the huge competition, with over 4.5 million SMEs in the country, Sellick Partnership were absolutely honoured to be on the list, recognising the growth and success of the company since it opened in 2002. Compiled by the London Stock Exchange and the Daily Telegraph, with the help of Growth Intelligence, there were a variety of identifying factors that companies had to achieve, including revenue growth in at least three of the past four years. They were also looking for businesses that were outperforming their peers and moving the economy forward. We supply to the public and not-for-profit sectors through the Crown Commercial Service (CCS) Non-Medical, Non-Clinical Framework RM971 and the Public Sector Resourcing (PSR) Framework. 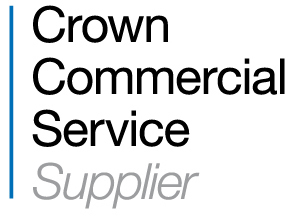 Crown Commercial Service (formerly Government Procurement Service) is the national procurement partner for all UK public services recognised supplier for temporary staff to NHS and other public sector bodies and is an executive agency of the Cabinet Office. Crown Commercial Service is the largest of over 40 Professional Buying Organisations (PBO) in the wider public sector. As the only PBO with a legal remit to trade across the whole of UK public services, Crown Commercial Service is the smart choice for public sector procurement, enabling organisations to deliver improved value for money and efficiency. We have also recently been awarded a place on the ESPO Strategic HR Services Framework 3S_18. ESPO is one of the UK's largest Professional Buying Organisations (PBO). It is a customer focused organisation owned by the public sector. ESPO was established in 1981 to provide a comprehensive procurement service to its member authorities. We are also members of SAFERJobs. SAFERjobs is a non-profit, joint industry and law enforcement organisation designed to support job seekers, agency staff, and contractors with any suspected fraud, malpractice, breach of legislation, or poor experience they may encounter. SAFERjobs is supported by the DWP, BEIS, Metropolitan Police, and other government and industry organisations. We are officially an accredited supplier to Bloom. Being accredited by Bloom means any member or associate member of North East Procurement Organisation (NEPO) may request a proposal through the NEPRO solution. Bloom was established in 2012 as NEPRO Ltd and the UK’s exclusive operator of the NEPO (North East Procurement Organisation) Specialist Professional Services neutral vendor solution. They are now the trusted partner to over one hundred Public Sector organisations and specialise in bringing together a community of buyers and suppliers to help the public sector hire professional services candidates more efficiently. The Cyber Essentials certification recognises the achievement of government endorsed standards of cyber security good practice. It shows that measures are in place to guard against the most common cyber threats and demonstrates a commitment to cyber security.